INDICATION - Indications include symptomatic varicosities including pain, fatigability, heaviness, recurrent superficial thrombophlebitis, bleeding, venous hypertension after skin or subcutaneous tissue change such as lipodermatosclerosis, atrophie blanche, ulceration and hyperpigmentation. VARICOSE VEINS - Varicose veins are dilated, tortuous, elongated superficial veins that are usually seen in the legs. Varicose veins, also called varicosities, are seen most often in the legs, although they can be found in other parts of the body. Most often, they appear as lumpy, winding vessels just below the surface of the skin. There are three types of veins, superficial veins that are just beneath the surface of the skin, deep veins that are large blood vessels found deep inside muscles, and perforator veins that connect the superficial veins to the deep veins. The superficial veins are the blood vessels most often affected by varicose veins and are the veins seen by eye when the varicose condition has developed. SPIDER VEINS - Spider veins, also called telangiectasias are clusters of tiny blood vessels that develop close to the surface of the skin. They are often red, blue, or purple. Although they can develop anywhere, they are most common on the legs and face and they have the appearance of a spider web. VARICOCELE- Varicoceles are when the pampiniform plexus veins in the scrotum become enlarged. It is also called scrotum varicose veins. It is an enlargement of the veins within the scrotum. A varicocele may develop as a result of poorly functioning valves that are normally found in veins. In other cases, it may occur from compression of a vein by a nearby structure. Varicoceles often produce no symptoms but can cause low sperm production and decreased sperm quality, leading to infertility. VENOUS INSUFFICIENCY - Venous insufficiency is a condition where the flow of blood through the veins is inadequate, causing blood to pool in the legs. It can be caused by several different vein disorders, but it's most often caused by either blood clots or varicose. Inside wall of veins have valves that open and close in response to the blood flow. When the left ventricle of the heart pushes blood out into the aorta, it produces the high pressure pulse of the heartbeat and pushes blood throughout the body. Between heartbeats, there is a period of low blood pressure. During the low pressure period, blood in the veins is affected by gravity and wants to flow downward. The valves in the veins prevent this from happening. Varicose veins start when one or more valves fail to close. The blood pressure in that section of vein increases causing additional valves to fail. This allows blood to pool and stretch the veins, further weakening the walls of the veins. The walls of the affected veins lose their elasticity in response to increased blood pressure. As the vessels weaken, more and more valves are unable to close properly. The veins become larger and wider over time and begin to appear as lumpy, winding chains underneath the skin. Varicose veins can develop in the deep veins also. Varicose veins in the superficial veins are called primary varicosities, while varicose veins in the deep veins are called secondary varicosities. The predisposing causes of varicose veins are multiple, and lifestyle and hormonal factors play a role. Some families seem to have a higher incidence of varicose veins, indicating that there may be a genetic component to this disease. Varicose veins are progressive as one section of the veins weakens it causes increased pressure on adjacent sections of veins. These sections often develop varicosities. Varicose veins can appear following pregnancy, thrombophlebitis, congenital blood vessel weakness, or obesity, but is not limited to these conditions. 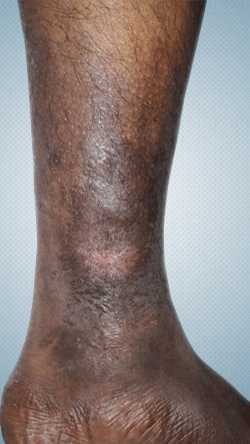 Edema of the surrounding tissue, ankles, and calves, is not usually a complication of primary (superficial) varicose veins and, when seen, usually indicates that the deep veins may have varicosities or clots. Varicose veins are a common problem; approximately 35% of the adult population in the world has varicose veins. Women have a much higher incidence of this disease than men. The symptoms can include aching, pain, itchiness, or burning sensations, especially when standing. 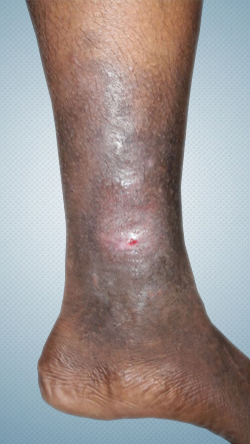 In some cases, with chronically bad veins, there may be a brownish discoloration of the skin or ulcers (open sores) near the ankles. 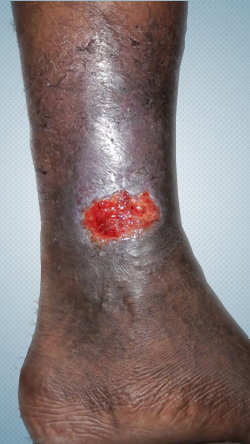 A condition that is frequently associated with varicose veins is spider-burst veins. Spider-burst veins are very small veins that are enlarged. They may be caused by back-pressure from varicose veins, but can be caused by other factors. They are frequently associated with pregnancy and there may be hormonal factors associated with their development. In cases where varicose veins are suspected, but cannot be seen, a physician may frequently detect them by palpation (pressing with the fingers). Ultrasound tests can detect varicose veins in the deep and perforator veins and rule out blood clots in the deep veins. As per Modern Medicine there is no cure for varicose veins. 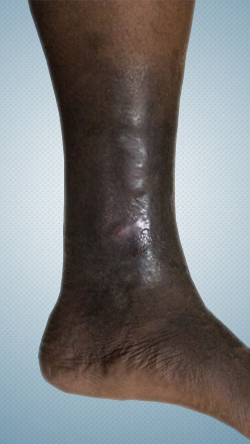 Treatment falls into two classes; relief of symptoms and removal of the affected veins. Symptom relief includes such measures as wearing support stockings, which compress the veins and hold them in place. This keeps the veins from stretching and limits pain. Other measures are sitting down, using a footstool when sitting, avoiding standing for long periods of time, and raising the legs whenever possible. These measures work by reducing the blood pressure in leg veins. Prolonged standing allows the blood to collect under high pressure in the varicose veins. Exercise such as walking, biking, and swimming, is beneficial. When the legs are active, the legs muscles help pump the blood in the veins. This limits the amount of blood that collects in the varicose veins and reduces some of the symptoms. These measures reduce symptoms, but do not stop the disease. Surgery is used to remove varicose veins from the body. Varicose veins that are causing pain or very unsightly, and when hemorrhaging or recurrent thrombosis appear. Surgery involves making an incision through the skin at both ends of the section of vein being removed. A flexible wire is inserted through one end and extended to the other. The wire is then with-drawn, pulling the vein out with it. This is called "stripping" and is the most common method to remove superficial varicose veins. As long as the deeper veins are still functioning properly, a person can live without some of the superficial veins. Injection therapy is also called Sclerotherapy. At one time, a method of injection therapy was used that did not have a good success rate. Veins did not seal properly and blood clots formed. Two new allopathic treatments have been developed since 1999 that are much less invasive than stripping the veins. One is called radio frequency closure, or the closure technique. In radio frequency closure, the surgeon inserts a catheter into the varicose vein through a small puncture. The catheter is used to deliver radio frequency energy to the wall of the vein, which causes the vein to contract and seal itself shut. The nearby veins then take over the flow of venous blood from the legs. The second new treatment is called the endovascular laser procedure. The doctor uses a diode laser wire or fibre that is inserted directly into the vein. Energy transmitted from a laser heats the varicose vein and seals it shut. The patient can go back to work the next day, although a support stocking must be worn for two weeks after the laser procedure. However, you can't remove or shut all the veins in the legs because it will affect the blood circulation to the lower limbs. We, Chavarcode Ayurveda Physicians offer you our proprietary blend of Ayurvedic supplements which is time tested for more than a century for curing / reversing the varicose vein. Our proprietary research blend is approved by the AUS Drug Controller & Licensing Authority of India. Who are we? - Chavarcode Ayurveda Vaidya Family is one of the most renowned ones for its great tradition in India's ancient and holistic system of treatment: Ayurveda. Many veterans, both in Ayurvedic Medicine and Modern Medicine, who had made rich contributions to the world of medicine, had taken blessed birth in the Chavarcode Family. The family proudly and carefully preserves very valuable and age old manuscripts in Ayurveda, which are inherited from their sagely predecessors. The Chavarcode Physicians were and are sincerely engaged in the research for the treatment of many chronic and incurable diseases. The secret and proprietary medicines formulated and prepared by the Chavarcode Vaidya Family have been found to be of proved efficacy, that the patients, who have been under frustration after having had the modern methods of treatments, have gained absolute solace. VENOUX - VENOUX reverses the Venous and arterial endothelial fatty deposits by dissolving and the damaged valves in veins are repaired to regain the tensile strength. VARICOSMIN - VARICOSMIN improves the blood perfusion in the veins and regains the healthy endothelium of vessels. VARICOSMIN helps to improvise the skin health by stimulating new Glycosaminoglycans (GAGs) and collagen in the layers. Also stimulates immunity with augmented blood perfusion to the skin layers. This effect helps reversing chronic eczema and scleroderma. 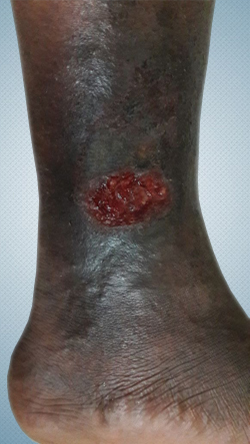 Moreover, it helps for wound healing with good quality scar formation in the varicose ulcer and eczematous ulcers. VEINTONATE - When Nitric Oxide production declines, the blood flow reduces. Nitric Oxide can't be supplemented due to the bio availability. The body needs nutrients to produce Nitric Oxide on its own. VEINTONATE helps veins and arteries to produce the Nitric oxide. Nitric oxide is a molecule that's naturally produced in the endothelium of the veins and arteries. Nitric Oxide signals the Veins and arteries to open to receive blood flow and then relax again which helps maintain healthy circulation and normal blood pressure. POM-G - POM-G has the best ingredients i.e. Pomegranate Extract and Grape Seed Extract, which are having the reputation of very high therapeutic effects, especially those related to the circulatory system. When these two miraculous ingredients are combined and administered, the result is wonderful, especially in the case of Vascular Diseases. The combination of 4 proprietary blend of Ayurvedic supplement dissolves fat deposits in the endothelium of the vein and arteries. 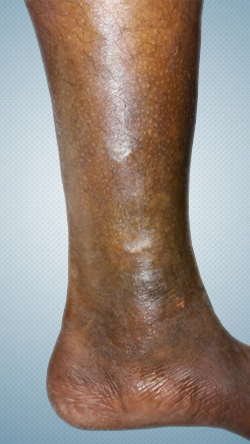 The lower limb arterial narrowing (Burger's Disease) that ends in gangrene is also reversed by administrating this formula VENOUX, VARICOSMIN, VEINTONATE, POM-G and VENOUS DS. This is the best non-invasive and safer way to treat varicose vein compared to the surgical stripping off the varicose vein treatment or modern treatment of intravenous laser therapy. Dosage: We recommend 3 months to 6 months medication for reversing the varicose veins. The effect may vary among users. Side effects: - VENOUX, VARICOSMIN, VEINTONATE, POM-G and VENOUS DS are 100% natural herbal extract and time tested by Chavarcode Ayurveda Physicians for more than one century and there are no known side effects noted. Incompetent Perforators And Incompetent Saphenous Vein. For Adults 18 yrs or above, take one (1) Capsule each from VENOUX, VARICOSMIN, VEINTONATE, POM-G and VENOUS DS twice daily (every 12 hours), in empty stomach with lukewarm water. For best results, no food should be taken 30 minutes before or after taking capsules. It's 100% reliable. My varicose ulcers problem has got eliminated completely. I used English medicine for 4 months by consulting 3 hospitals including famous corporate hospital. But no use. Now I got complete relief now. My leg is in good condition now without any varicose ulcers. When I was using English medicine I used to get swelling and lot of pain when I was standing for teaching classes. But one week after using the medicine redommended by "GURUS AYURVEDA" I did not get any swelling and pain when I was standing.